So, we’re moving. Time has run out at our old studio and it’s time to move onwards and upwards. We’re going to build a much bigger place with a large live room, but finding a premises in which to do that sort of thing is a pain. You need to start with a building that’s big enough, with enough clearance, a robust structure which will minimise noise before you build, a floor that can take the weight, somewhere to park and in a location that you want to be. At a price you can afford. It’s a bit of a jigsaw. So in the meantime I have set up a temporary mix room. 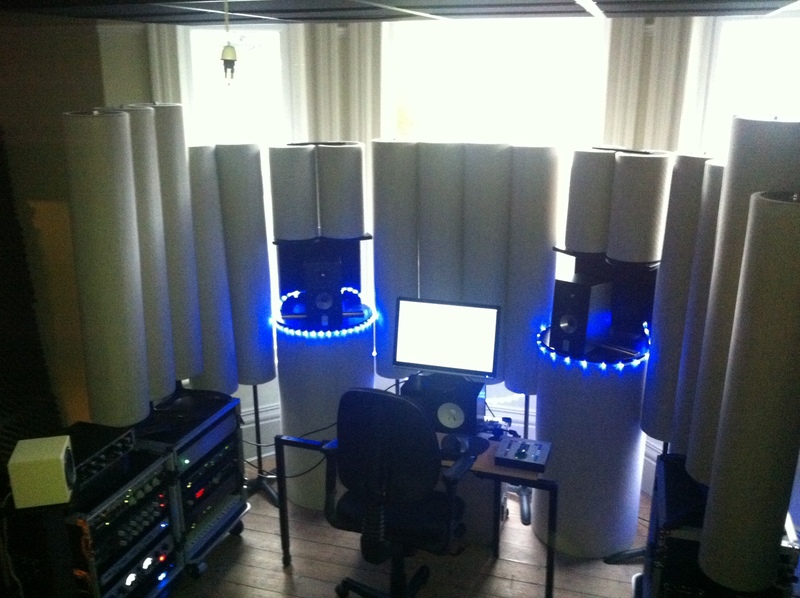 And I have to say that it’s rather better than my old mix room. So that’s nice.